Easy (But very hot, there is no shade) hike to Kaena Point down a flat, dirt path. 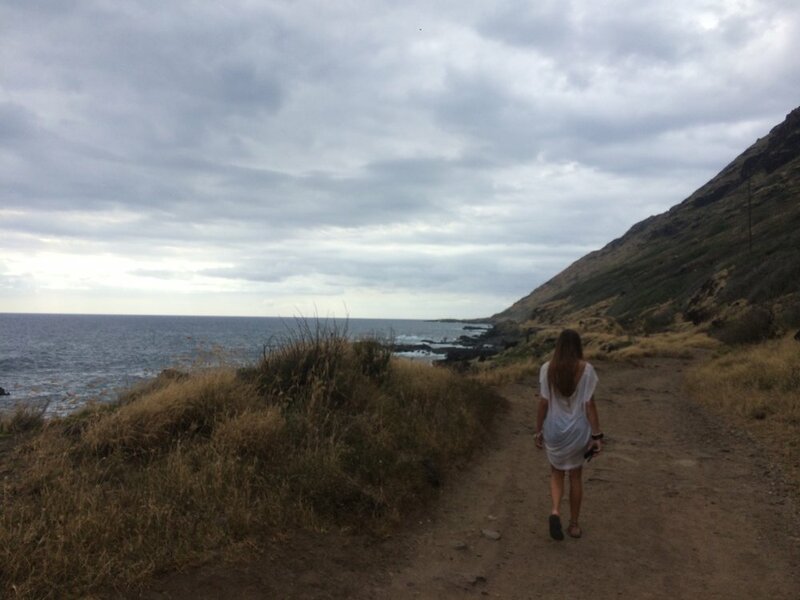 This secluded hike will reward you with beautiful views of the coastline, as well as the Waianae mountain range. Not to mention, there is a lot to see on this hike: A rock arch, a blowhole, lots of wildlife and even a secret pillbox (if you are willing to hike up the ridge). You can access this hike from both the Westside of Oahu (Yokohama bay) and from the North Shore of Oahu (Mokuleia). Please be aware of the Albatross (This is a bird sanctuary) as well as the Hawaiian Monk Seals that may be resting on shore. Be respectful and keep your distance. -There are no water sources nearby so remember to bring water.